As part of an Office 2010 deployment I needed to remove the Recent Documents option from Word. 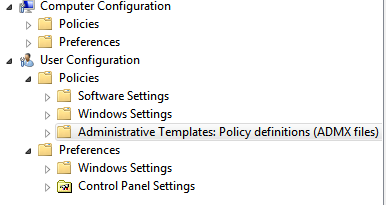 It’s possible to do this using the Office 2010 Group Policy settings. 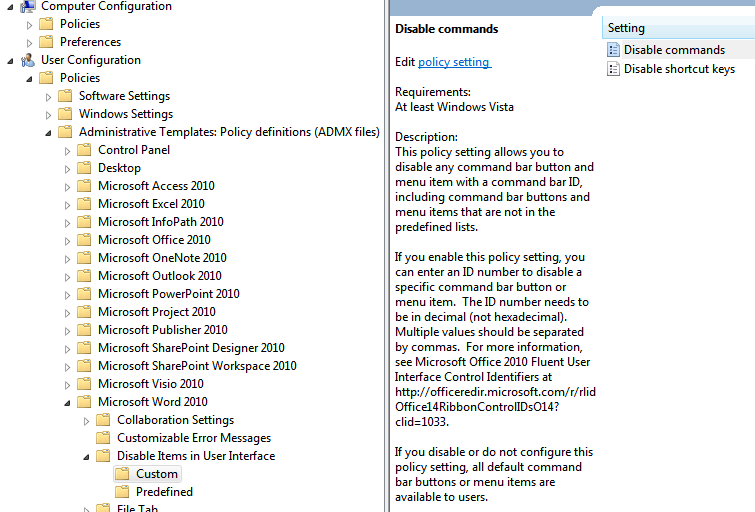 Go to the location to which you extracted the Office 2010 Help Files: Office Fluent User Interface Control Identifiers. Open the Excel spreadsheet for the appropriate application. Search the spreadsheet for the control you wish to disable. I wanted to remove access to Recent documents, so noted control IDs 21439 and 19950. In Disable commands choose enable, click Show and enter the control IDs you wish to disable. Separate multiple values with a comma. 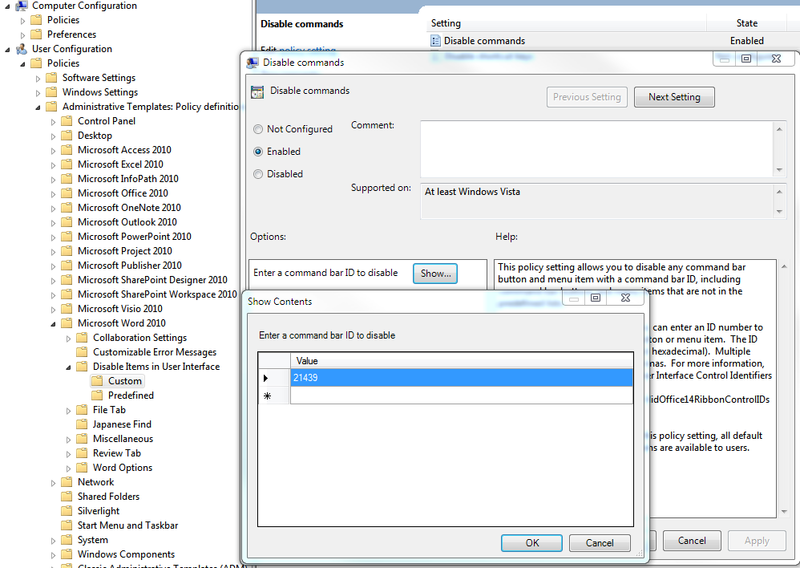 Click OK and close the Group Policy editor. This entry was posted in General on November 21, 2012 by richardstk.